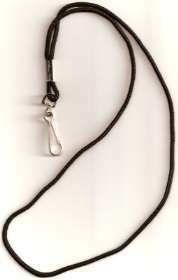 Lanyard with clip. Perfect for your Storm safety whistles. Approx 36" length.